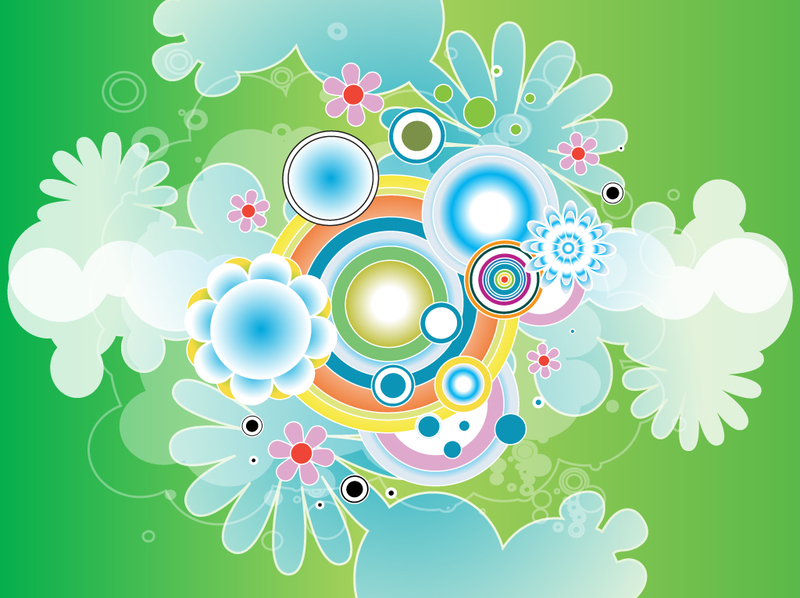 Free green vector art background with fun and colorful retro circles and flowers. The simple graphics work well with the clean and soft spring inspired colors. Download this bright and happy design and create digital print banners, greeting cards, desktop wallpapers and photo collages. Tags: Cool, Flowers, Fresh, Fun, Garden, Green, Joy, Seventies, Shapes, Sixties.